You’ve been there. You’ve done it. You’ll do it again, whether you think you will or not. Because there are times in our lives when fitness falls to the back burner, sometimes for good reason, sometimes because we mentally & physically just can’t make it happen. Whatever the reason, it will pass. And you will need to restart your fitness routine and make the comeback. It will be hard. You may be angry. But every mile you log is like a building block, paving the way back to sanity. This time has been a bit different for me. I’m wasn’t off due to injury. I didn’t have a baby. I just didn’t have the time to run much while we were preparing to relocate. 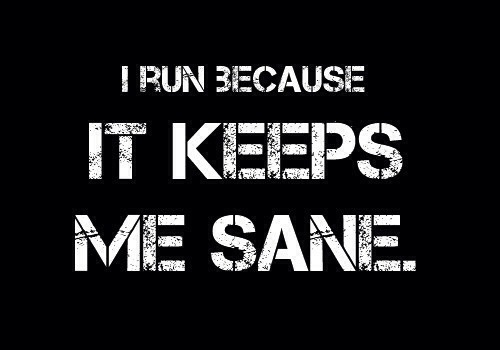 Then I didn’t run at all in the 6 weeks it took to move, make repairs to the “new” house and finally unpack & get organized. No matter, the result is the same and I was back at square zero before I even knew what hit me. I also have some extra “baggage” that I’m lugging around so I’ve been focusing on taking care of my entire body while rebuilding my fitness. Here are the things that I’m working on, just in case you need a shove nudge in the right direction too. 1) Watching what I eat. Say hello baked tilapia with cajun seasoning and tons of veggies! Protein shake, anyone? Water, YES, please!! 2) Limiting alcohol. Sometimes life as a working mom is slightly less than glamerous. Nobody says thank you. Nobody even really listens to you. In fact, can anyone even think with all the screaming and fighting chaos? There is work. Then house work. Then cooking and cleaning and laundry. Don’t forget those chauffeuring duties too!! Yes, at the end of the day, I understand the desire to crawl into a bottle of wine have a beer or two. But try to keep it chill! The more I drink, the more carefree I become, then I will blow an entire day of hard work by eating a bunch of crap before bed. Yep, been there, done that. So I try to limit the alcohol because it’s just easier for me to stay focused on my goals when my head is clear. 3) Workouts are a must. Log miles on the road, on the treadmill, on the bike. Whatever you can do, just MOVE IT!! Cross Train. Stretch. Roll. Ice if there is pain or soreness. Make regular appointments with your chiro or PT in order to keep you in line. When I moved, I was in a lull for a while without treatment and my Plantar Fasciitis flared up and I’m a hurtin’! I’m back on track now. Getting treatment. It still hurts very badly but I’m certainly more focused on the basics and taking care of my body. Good article from Gypsy Fit HERE on foam rolling! 4) Break up your workouts into manageable chunks. If you don’t have time for 10 miles NOW, do 4 or 5 and then knock out the rest later in the day. It’s basic time management. I know that second workout takes a lot of willpower but you’ll get it done if you really need it. 5) Sign up for a race or three or four!! That will get you moving for sure! I was in the midst of moving and my friend Judy twisted my arm convinced me to sign up for our first marathon double. It’s in January. Suddenly, I’ve become VERY focused. I signed up for a “couple” races this fall in order to ensure that I’ll be ready to pound out two marathons in two days by the beginning of January. 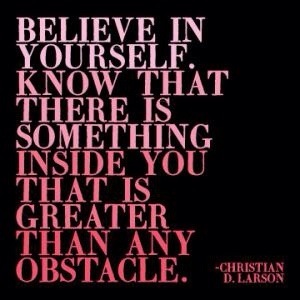 5) Believe in yourself! This is definitely the most important thing. No matter what is going on in your life, take back control. Carve out time for you. Not only do you deserve it but you will be happier. And you’ll be a better wife, mom & person as a result. You are worth it and your family will certainly reap the benefits of a fit and focused momma!! This entry was posted in Running and tagged believe in yourself, Making A Comeback, Restart, Running, Take Back Control, Tips to making a comeback by tootallfritz. Bookmark the permalink. Great post TTF! “Believe”…that’s also ultra-runner, Josh Cox’,favorite mantra. He signed my bib in Boston with that single word. He told me you did the training…believe in that and believe in yourself when it came to running the race. Perhaps your 6-weeks from running and other training while doing the move will be a blessing in disguise. Yes…it will mean more hard training work to rebuild your former conditioning, but perhaps the 6-weeks doing other “life-business” allows some longer-term healing that will make you more resistant to injury. What an inspiration you are! Thanks, Frogger! You are always so encouraging. I appreciate it!! See you soon!! good for you!! you got this! We had been talking about a double, just didn’t know which one. AND she was initially planning to go back to Disney. This is the same weekend. I’m not going back to Disney for racing. I did it and it was fun but that’s good for me. I want to try new things!! Super excited about this!! Best wishes on “The Comeback” I know you’ll return a new and improved better version of the former you. Pretty much most of my posting since July has been my own comeback … rebuilding myself as a runner from the ground up after my February race meltdown, my lowest point ever as a runner. Thanks! I’m going to go over and check your blog out now. Us “comeback kids” need to stick together! Good luck!! Great advice! I’m so glad to see that you are back on the road. Maybe see you at Chicago? I’ll be at the expo SAT. Otherwise, I’ll be around marathon day! Which corral were you? Nice post! Wait, what double marathons?